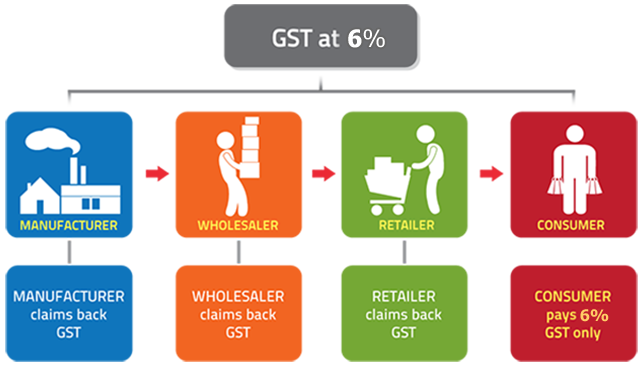 Businesses making taxable supplies have to be registered under GST if their annual sales turnover has exceeded the prescribed threshold. 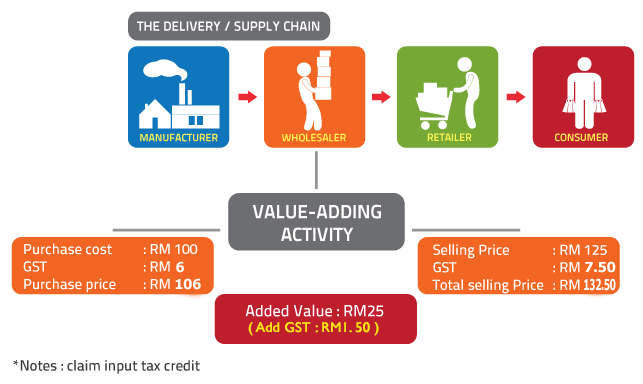 Only a registered person can charge and collect GST on the taxable supplies of goods and services made by him. 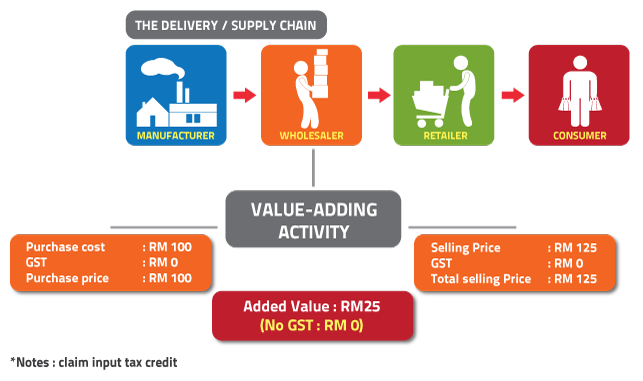 GST is charged on the value or selling price of the products. 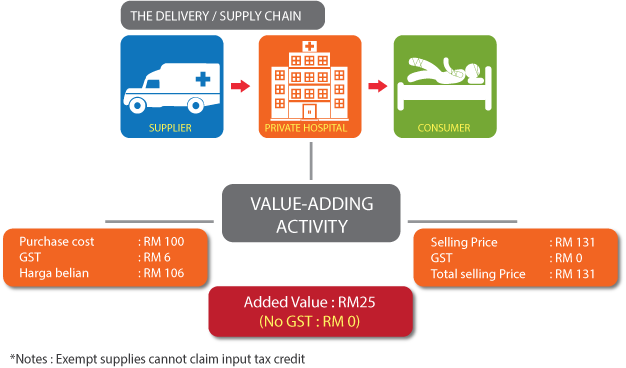 The amount of GST incurred on input (input tax) can be deducted from the amount of GST charged (output tax) by the registered person. If the amount of output tax is more than the input tax in the relevant taxable period, the difference shall be remitted to the Government. 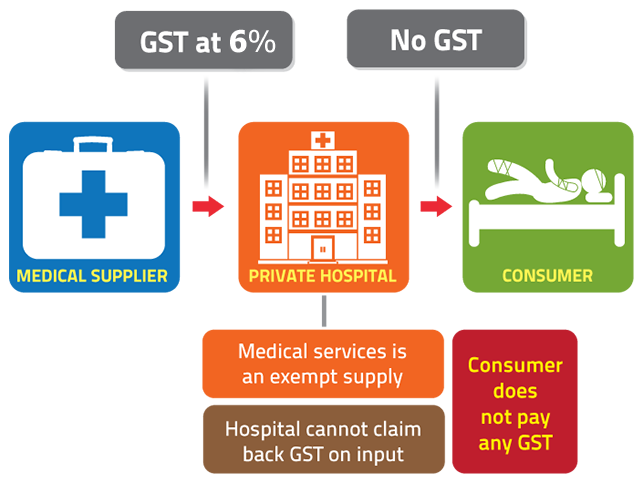 However, if the input tax is more than the output tax, the difference will be refunded by the Government. Taxable period is a regular interval period where a taxable person is liable to account and pay to the government his GST liability. The standard taxable period is on quarterly basis. Pay at any nearest GST office counter from 8.00 am - 5.00 pm. These are taxable supplies that are subject to a zero rate. 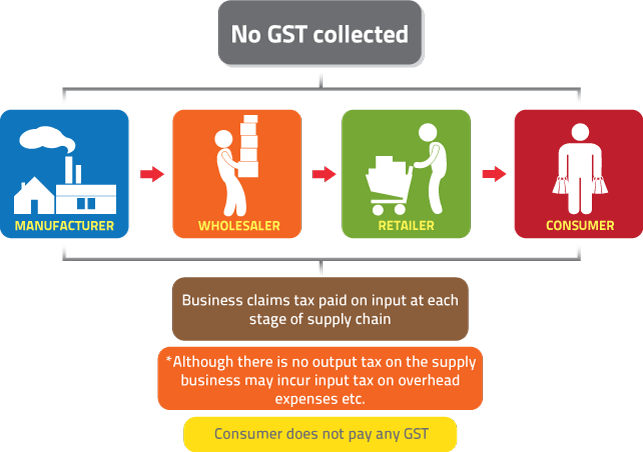 Businesses are eligible to claim input tax credit in acquiring these supplies, and charge GST at zero rate to the consumer.